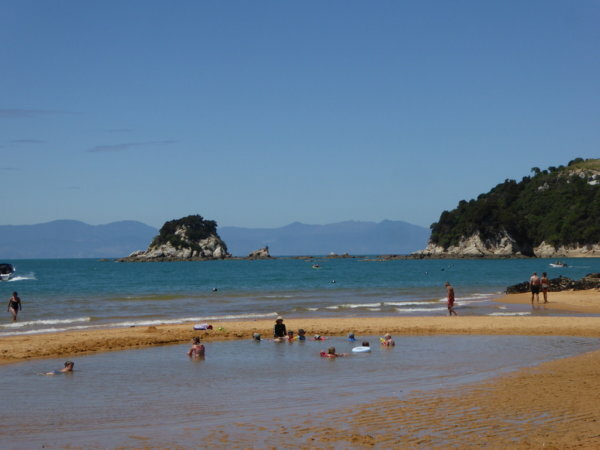 Just before the Abel Tasman National Park at the top of the South Island of New Zealand is a popular beach – Kaiteretere. 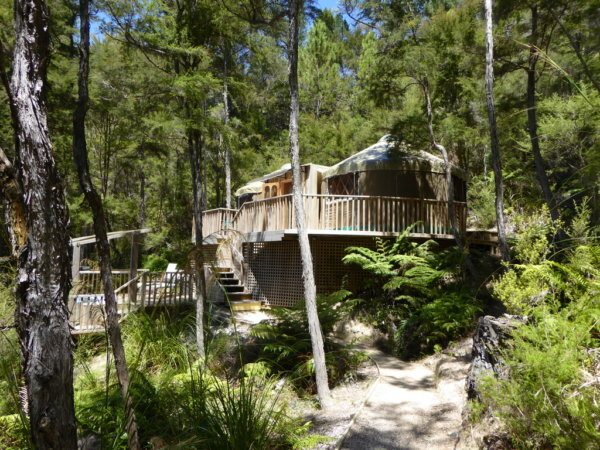 And nestled into the bush above the beach is a hidden Gem – The Kimi Ora Eco Resort. 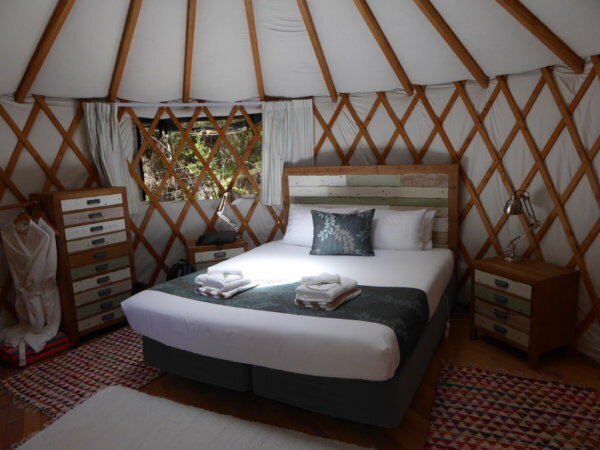 We have the rare treat of staying in the Yurt at this Resort – something you can not book into, but is occasionally available – and we are here for 4 magical days. Actually it is two Yurts – one for sleeping, one for living connected by a bathroom. It is totally private, with even an outside bath. Surrounded by trees full of birds – the Tui are amazing. From Kimi Ora a short bush walk takes you to the beach – the carpark is often full so walking is a great way to get there. I can see why this beach is so popular – golden sands, swim at any tide, looking out on beautiful headlands, a café and icecream if needed. Yesterday we discovered Little Kaiteretere – another golden beach which drops more steeply, so great for adult swimmers. We have had a rhythm to our days – an excursion for the day, then back to Kimi Ora for a sauna, a steam room and a spa – wow what a way to finish every day. 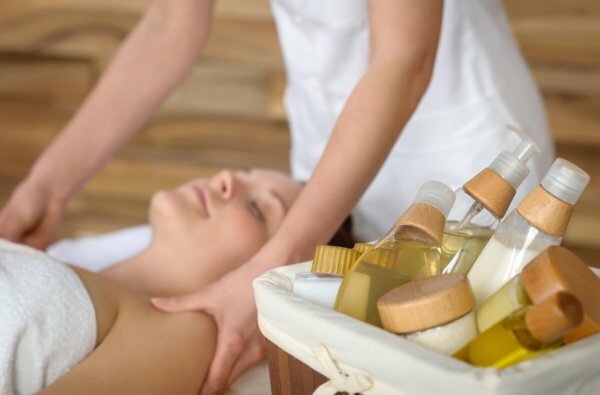 If this is not enough to relax you, there are also on site Spa Treatments available. We mostly cook for ourselves, but one night treat ourselves to the on site vegetarian restaurant which is superb called – The Views. You are spoilt for walks around Kaiteretere and at Kimi Ora you have another unique selection – go on a specially designed Barefoot Walk, or after dark go see a track lit up by glowworms. Sustainability is a key feature of Kimi Ora as signatories to the Nelson Tasman Sustainable Tourism Charter, but more than this sustainability has always been a key focus for founder Dietmar Glaser and his family who now run the Lodge. A huge bank of solar panels is visible above the entrance, organic gardens produce food for the Restaurant, electric lawn mowers are in evidence, and you can charge your electric car here! 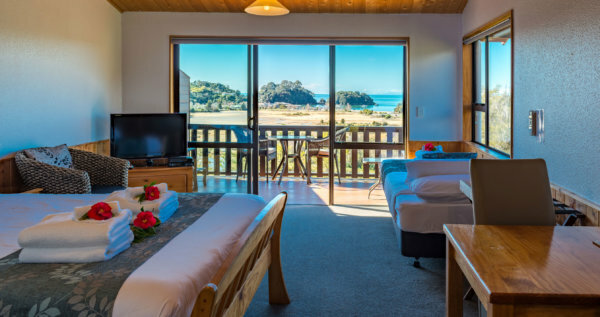 With prices ranging from $219 for two people, including breakfast in the peak season and $179 in the off season, Kimi Ora Eco Retreat is great value.